Address of the relatives of the Kremlin’s prisoners on the occupied territories and the relatives of political prisoners to the PACE. Tomorrow, on April 10, the Parliamentary Assembly of the Council of Europe will vote on a resolution to lift the sanctions imposed on Russia. The proposed amendments will render the prolongation of sanctions impossible. This is especially hypocritical as none of the demands to put a stop to the violations of human rights in Crimea and the Donbas made by the Council of Europe to Putin were not met. Around 90 prisoners of the Kremlin including Oleg Sentsov are still being held in Russian prisons. More than 100 prisoners are held in the basements of the occupied territories of Eastern Ukraine. We have to prevent this! 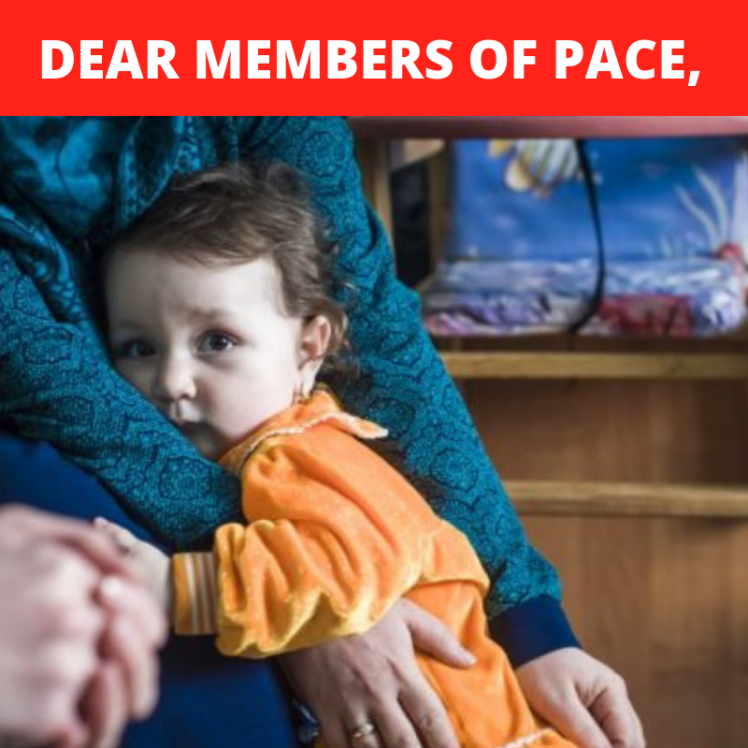  We ask you to share the address of the relatives of the Kremlin’s prisoners on the occupied territories and the relatives of political prisoners to the PACE. Since the beginning of the Russian aggression against Ukraine in 2014, the Russian Federation has illegally detained or/and sentenced at least 97 Ukrainians political prisoners in Russian Federation and occupied Crimea, as well as more 120 prisoners of war and civil hostages in the occupied Donbas. For some, they are just names among many names. For us, they are our husbands, wifes, brothers, sisters and children. The only crime of these people is the opposition to Russian aggression against Ukraine. We have appreciated firm reaction of the Parliamentary Assembly to the illegal annexation of Crimea and Russia’s military action in eastern Ukraine. We are grateful that the Assembly called on Russia to release our beloved ones. At the same time, we have observed with pain and regret attempts to allow Russia to return to PACE without fulfilling demands of the Assembly, contained in its resolutions. We are aware that during this session, you will consider proposal to reform sanction mechanism of PACE (Cox report). This will allow Russia to eventually restore its rights at the Assembly and at the same time escape responsibility for what it has done to our beloved ones. This kind of reform will mean a political solution for some and a loss of hope for us. We call on you to look for a solution that will imply Russia’s contribution to it. We hope that the contribution will be the release of political prisoners in Russian Federation and occupied Crimea and all detainees from Donbas. We believe in the Council of Europe and so do our relatives who are behind bars in Russia and occupied Ukrainian territories. Please don’t compromise this belief. Nataliia Voskoboinyk (sister of the captive Volodymyr Voskoboinyk).